On December 24, 2017, in the 9am service at First Alliance Church, Lawrence Booker was baptized, publicly signifying his identity in Christ and commitment to follow Jesus as a disciple. His story follows. I came to Christ in an extraordinary way. I attended a Christian summer camp when I was younger. It was there that I was exposed to Christ and met the camp nurse who would later become my mother and one of my biggest supporters along my walk with Christ. However, it wasn't until the Christmas season of 2015 that I had truly surrendered to Christ's calling on me. I attended Walnut Hill Community Church in Bethel, Connecticut. I fell deeper and deeper into the message each week, becoming entranced by the sound and feeling of the spirit during worship, and with new eyes saw how broken I was. The only remedy for that brokenness that had lasting effect came from Jesus and His Gospel. As I matured spiritually, I reflected on how an all powerful God took me from the hardships of abuse and neglect that had shaped my understanding of childhood, and how He stayed faithful in listening to my pain. He provided me with a family that would love, encourage, and support a relationship with Him, independent from most everything else. I am being baptized (12/24/17) as a way to definitely state beyond just words alone, but through my action, that I am in love with the Creator of the universe. I want to demonstrate the love , commitment, and faithfulness of my Abba. I want to be seen as a person that does not pretend to be perfect or better than anyone else because of a label, instead being seen as a person who shares an undeniable and unbreakable relationship with the most powerful King Jesus. And from it all, I would like for others to see how He worked in my life, in hope that it would show them how He may work in theirs, despite however far away they believe themselves to be. 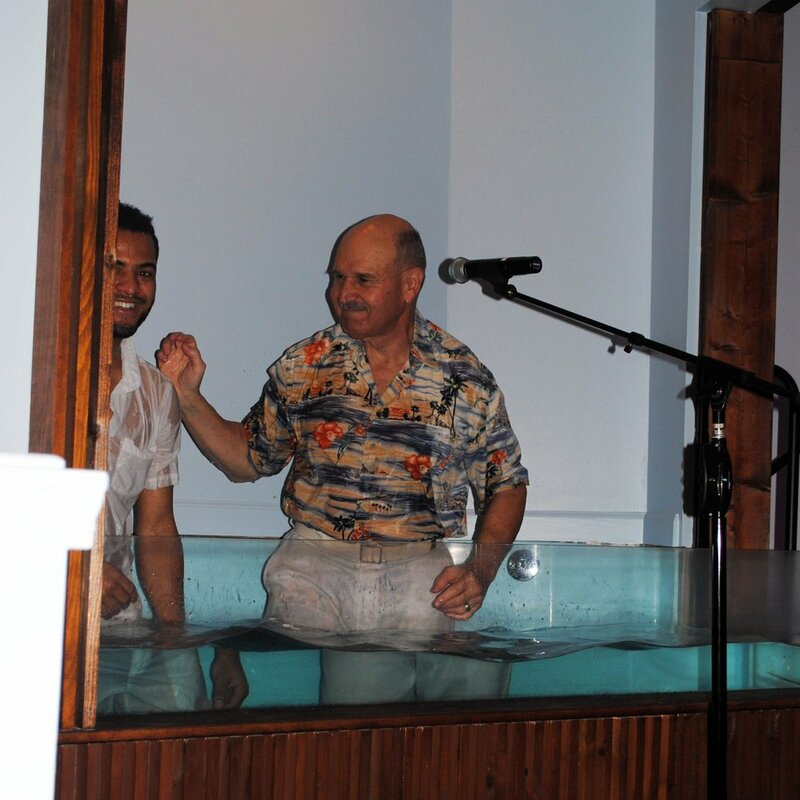 *To learn more about baptism, its meaning, and its symbolism, click here.